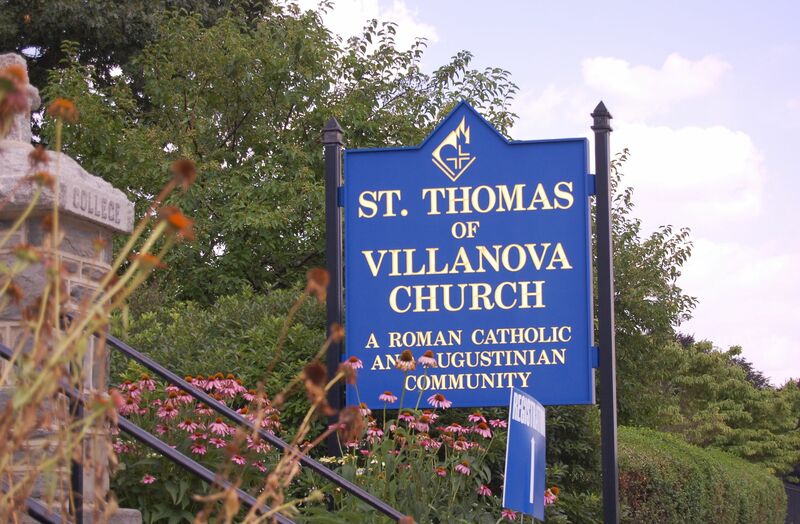 St. Thomas of Villanova, an Archbishop, educator and carer of the poor. 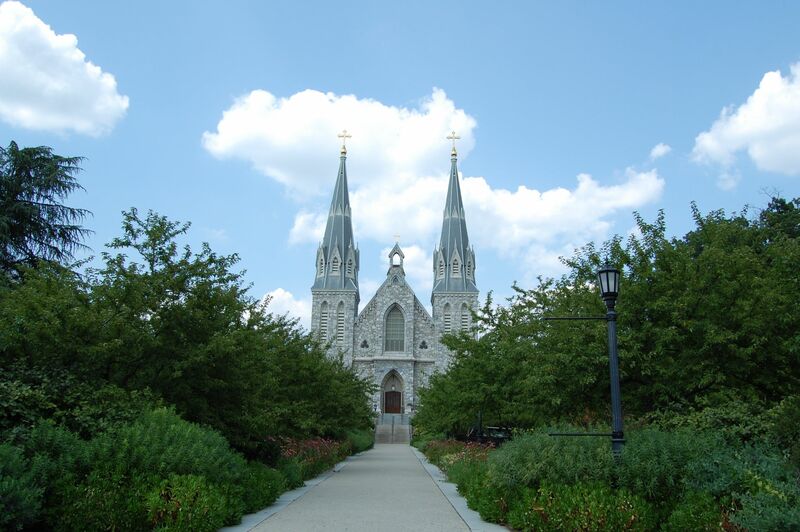 The patron saint of Villanova University, shown in the plaza in front of St. Thomas of Villanova Monastary. He lived from 1488-1555. His feast day is September 22nd. Details depicts Thomas dressed as a bishop with crozier and mitre, giving alms to poor children. 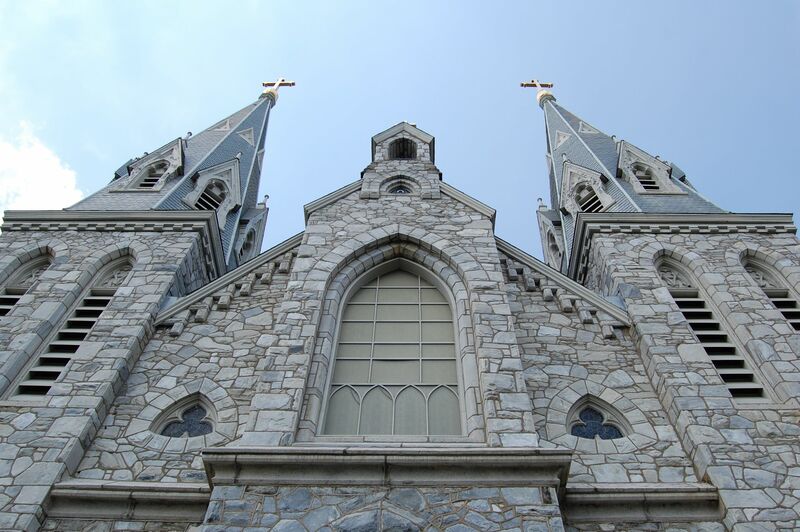 St. Thomas of Villanova Church on the campus of Villanova University, Philadelphia, Pennsylvania. 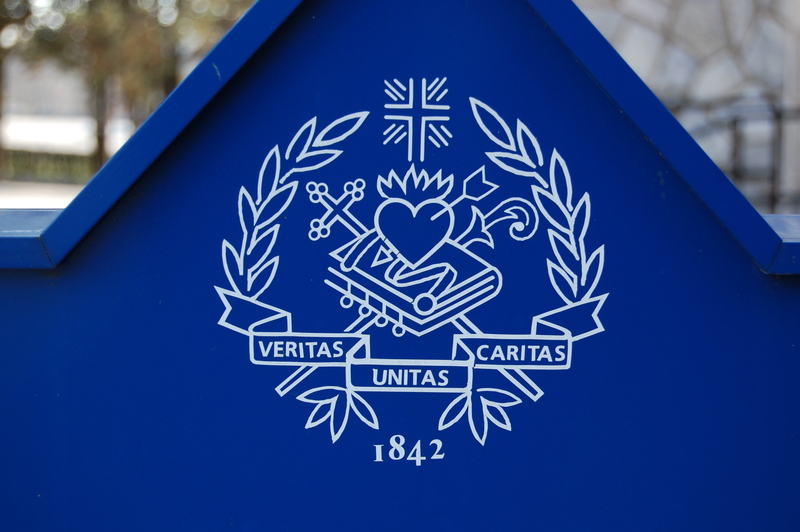 St. Thomas attended Arts and Theology at the University of Alcala de Henares and eventually became a university professor. 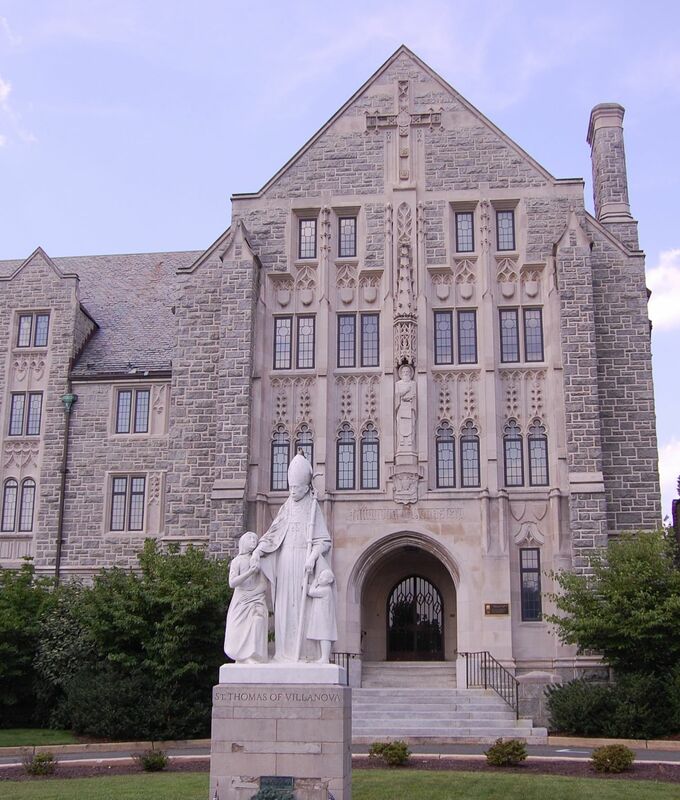 He decided to leave the university setting and entered an Augustinian monastery. 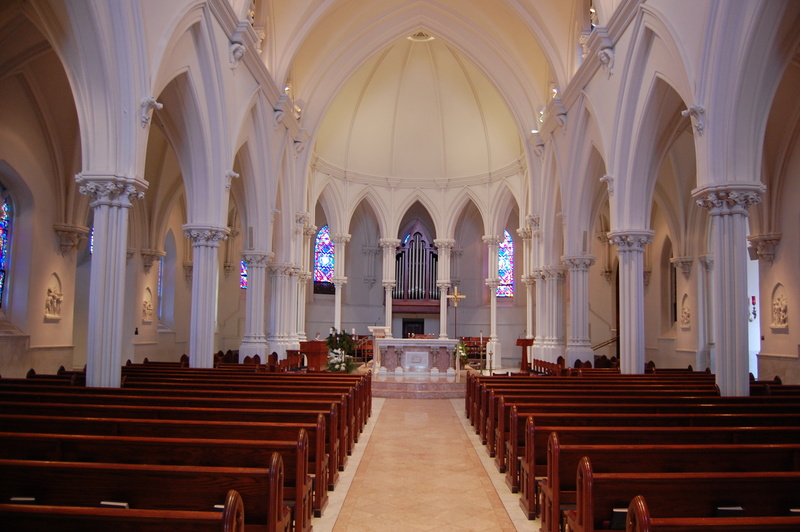 Later in life St. Thomas received mystical encounters with God, having ecstatic visions during Mass. He sucumbed a heart condition in 1555 at the end of Mass. He is said to have died on the floor rather than in his bed, which he insisted on offering to a poor man who had come to his house. He was a great preacher and Emperor Charles V, upon hearing him preach, exclaimed, “This monsignor can move even the stones!” He also had a great devotion to the Virgin Mary, whose heart he compared to the burning bush that is never consumed. He was canonized by Pope Alexander VII on November 1, 1658. His feast day is celebrated on September 22. St. Augustine statue with his own heart set on fire with the love for Christ. 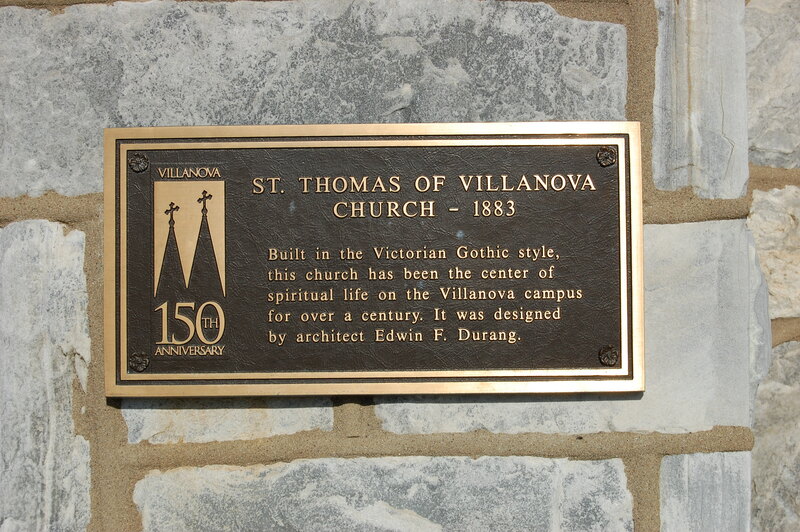 The friars of his religious order founded Villanova University, where they administer today. 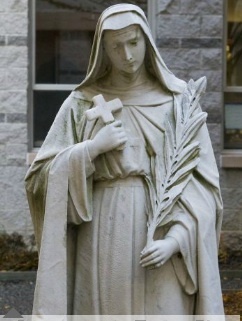 Another Augustinian, St. Rita of Cascia, shown here at one of the courtyards in the St. Augustine Center for Liberal Arts at Villanova University. 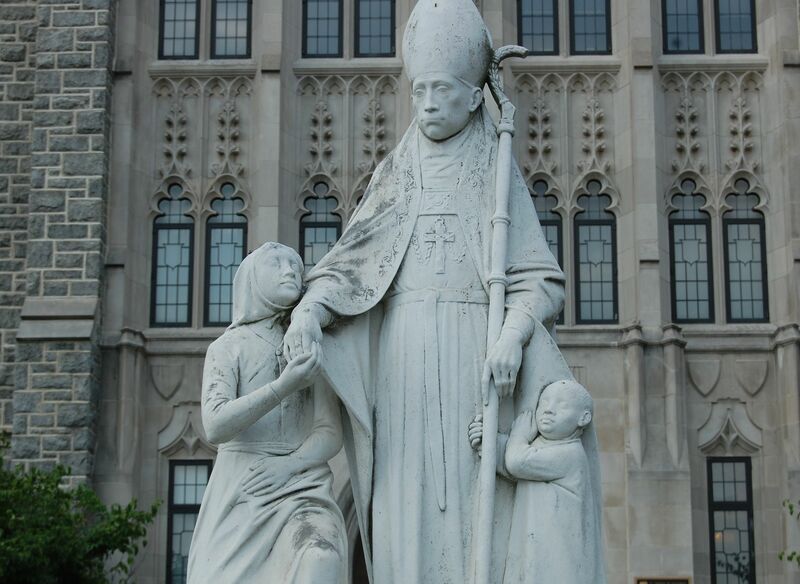 The statue with a backdrop of trees, described as St. Thomas of Villanova holding Mary’s heart is incorrect. 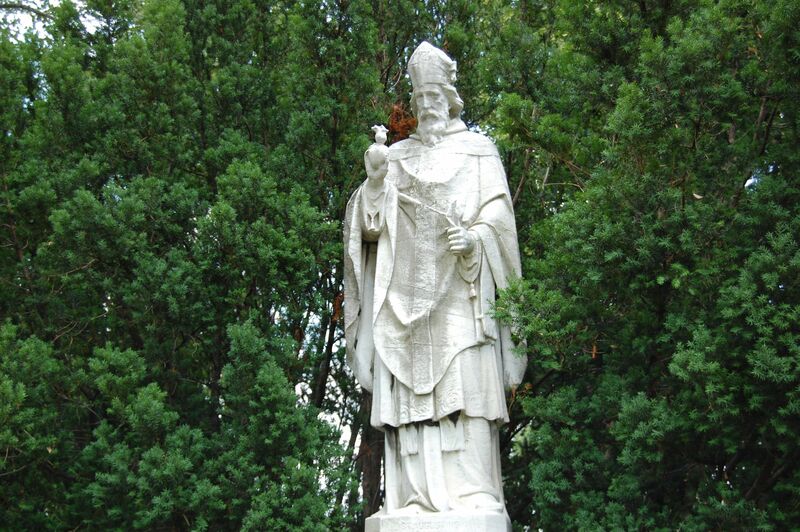 This is a statue of Saint Augustine of Hippo, father of the Order that founded and administers the university. He is holding his own heart set on fire with love for Christ. I’ll change it to “St. Augustine statue with his own heart set on fire with the love for Christ. 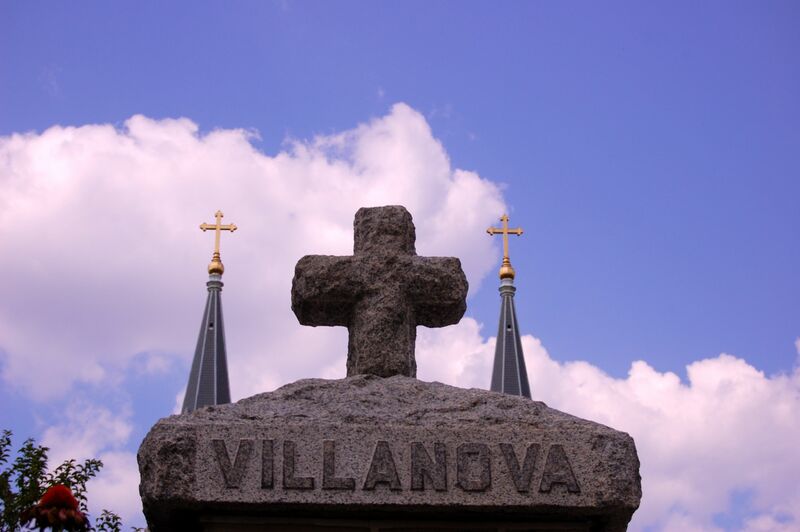 The friars of his religious order founded Villanova University, where they administer today.” I think having St. Thomas in the second line confuses the reader, so I took it out and added “his own heart” to St. Augustine statue as you suggested. Thanks for the feedback. I hope you like the post.